Makkah: A man tried to set himself alight with gasoline beside the Kaaba, the black-clad building towards which the world’s Muslims face to pray, inside Makkah’s Grand Mosque late on Monday but was arrested before he could do so, police in Saudi Arabia said. “His actions suggest that he is mentally ill,” the mosque’s police service said in a statement, adding without elaborating that police would take measures to address the incident. Police said the man was in his 40s. 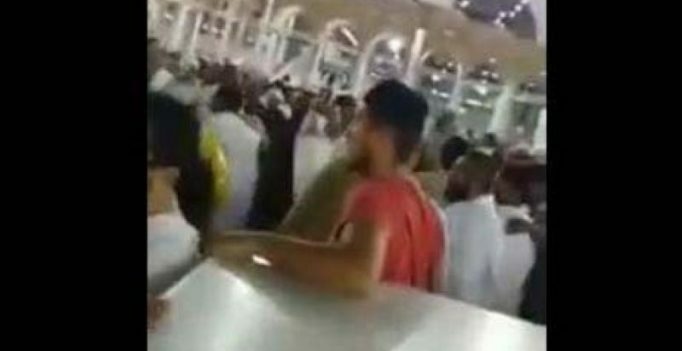 A video clip circulating on social media showed a man being hustled away from the Kaaba by pilgrims and security guards.